Wow. I mean, wow. Wow! Should I say it again? 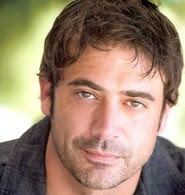 I'm not usually so into the whole celebrity sighting thing, but I saw Jeffrey Dean Morgan ("Denny Duquette" from Grey's Anatomy and, be still my beating heart, the Jewish "Judah Botwin" from Weeds) on the Upper West Side this morning. I won't give away the exact location of the sighting, in case I decide to stake it out until I see him again. At the time, I was 90% sure it was him. I saw him quickly and then kind of looked again to make sure--I don't think I was staring, per se, because that's so gauche, but I got two good looks. Now that I've IMDB-ed him, I'm sure it was him. He was tall (6'2", apparently) and walking a dog (a a female 9-year-old Rottweiler mix, apparently--looked about right). He looked friendly. Kind of smiley. Wearing normal dog-walking clothing. And hot. Very hot. Have I mentioned that already? And, in another be still my beating heart discovery, his hobbies include painting and writing. I haven't thought an actor to be this attractive since I had a crush on Jason Priestly, circa 1991-1992 (and he is so not cute anymore). I think that this is about how he looked then, and I'm not sure what he was doing with that hair, but I guess I thought it was cute when I was twelve. A certain junior high classmate of mine slept with a collage of Luke Perry under her pillow, which I could never understand because (a) he wasn't cute and (b) what was that supposed to accomplish? The only other celebrity sighting I've had in my 3.5 years in Manhattan was Richard Kind pushing his kid (presumably) in a stroller right near my apartment. I recognized him from Spin City. Don't ask me why. wow! I'm huge Grey's Anatomy fan! 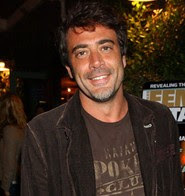 that whole Denny and Izzie affair really spiced up that season! You should gotten an autograph or somethin! I know I would =) I'm cheap like that you know, lol!